Tanif; also known as the "City of Splendors," was once the greatest city of the lost Empire of Shorafa, before it was consumed by a sandstorm in the year 430/4. The city was located south of the Il'Thrak Mountains. 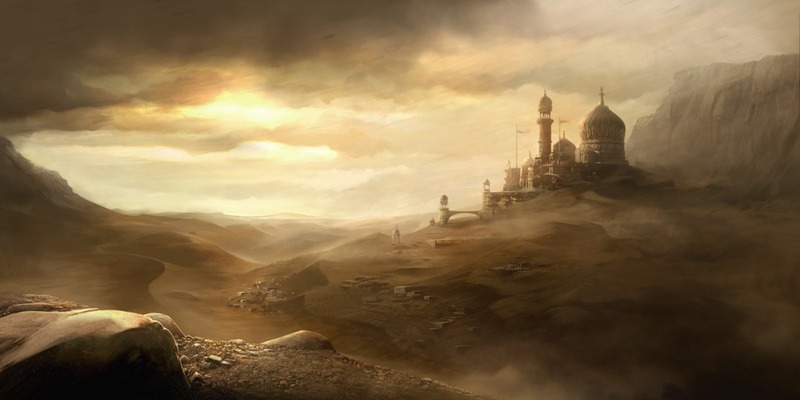 For a time, Tanif was the capitol of Shorafa and home to the grand palaces of the Pharaohs who ruled the Sea of Sand, until the year 430 of the Fourth Age, when the entire city, and all its Shorafi inhabitants, were consumed by the desert in a terrible sandstorm. The fall of Tanif also marked the collapse of Shorafa, and the eventual rise of the modern-day Vilzari nation of Vilzar. This city was also the rumored burial place of Hakotep; the Shorafi "Sky-Pharaoh." Today, only a few spires and towers can be seen from the great sand dunes that cover the ruins of the city. Over the centuries, many brave adventurers have perished exploring its ruins. Currently, the small Vilzari settlement of Wati has arisen outside the gates of the ruined city.